The MOT price that we charge includes a pre-test that enables us to eliminate potential defects which may cause your motorcycle fail the actual MOT test. In cases when vehicles fail the MOT tests, we don’t charge the customers any fees. We leave open options to either fix the failed elements or withdraw from the test. We offer quick service both on motorcycles and scooters, which can be done „while you wait”*. Our dedicated staff can assist you with anything from tyres and brake pads change to gearbox and engine rebuilds if necessary. Your safety and customer satisfaction are our priority, therefore, we employ experienced and responsible mechanics. Whatever work is performed on your vehicle, it follows correct procedures and is done carefully, with devotion to ensure that our service is best quality and lasts. Each job is finalised by re-checks to deliver the highest standards of service. When we diagnose a problem, we inform you on the available solutions to it and always confirm with you what are your decisions before we carry out the repairs. We are always honest with our clients and only charge for work that has been done. 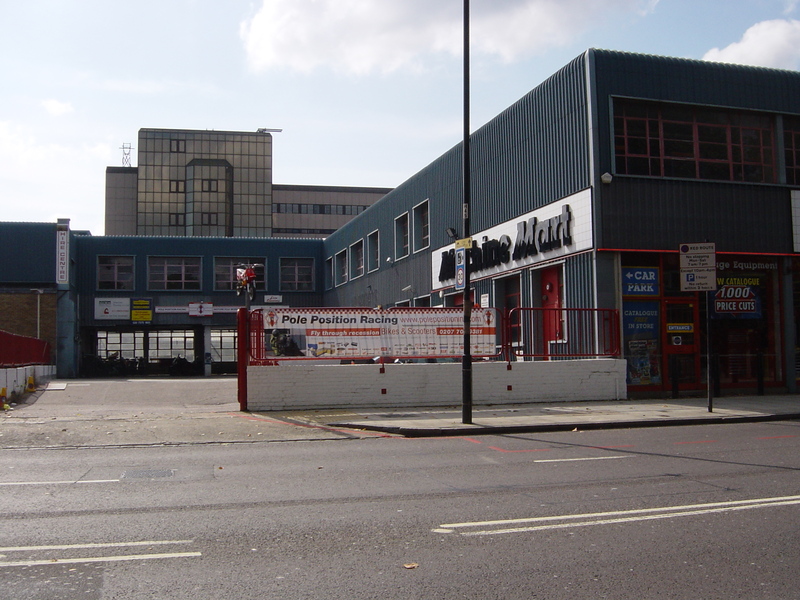 We are a motorcycle workshop located in Central London between The City and Canary Wharf. 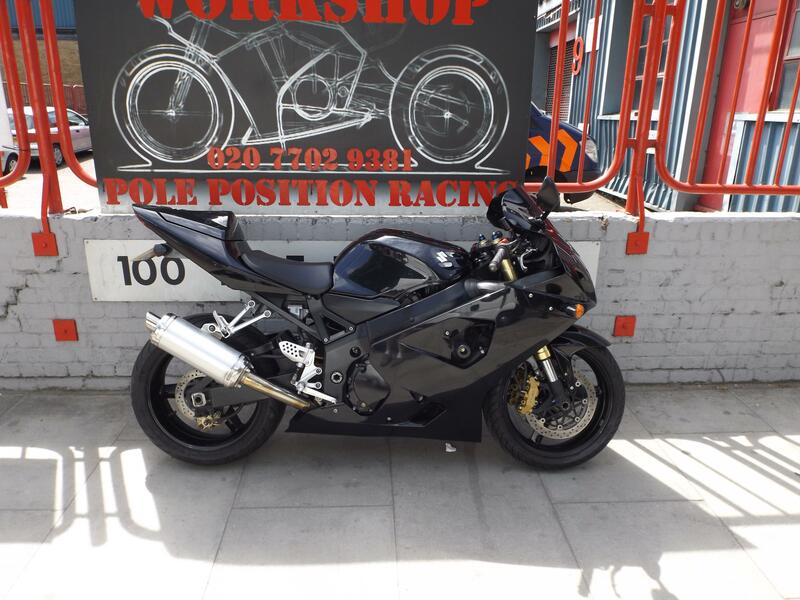 As we can offer four benches and a fully equipped motorcycle workshop, we are able to undertake all kinds of mechanical or electrical jobs on all major Japanese bikes (Honda, Kawasaki, Suzuki, Yamaha) and European brands (Aprilia, BMW, Ducati, KTM, Triumph). We also work on Harley Davidson and Buell. 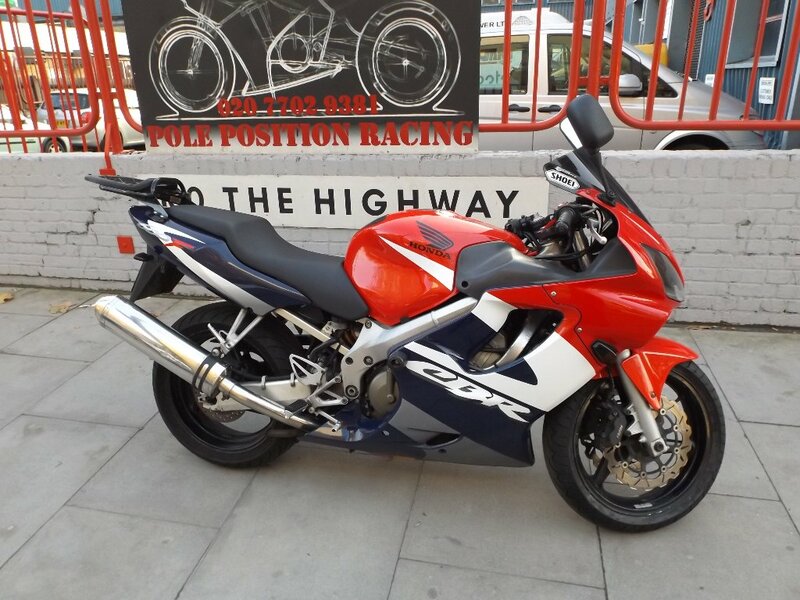 We have a large stock of motorcycle accessories, service parts and motorcycle spares and we are also able to order all special parts needed for the above brands* for the next day delivery. We also can supply the scooter owners with a wide range of scooter accessories and scooter parts for twist&gos; tyres, brakes, belts. Tucano range are also available for Piaggio, Vespa, Gilera, Honda and Yamaha, whether 50cc or bigger. Our clients can enjoy the comfort of our customers’ waiting area and its entertaining features such as a flat screen TV with DVDs to watch, Play Station console and racing games. There also is also a coffee machine to warm you up. 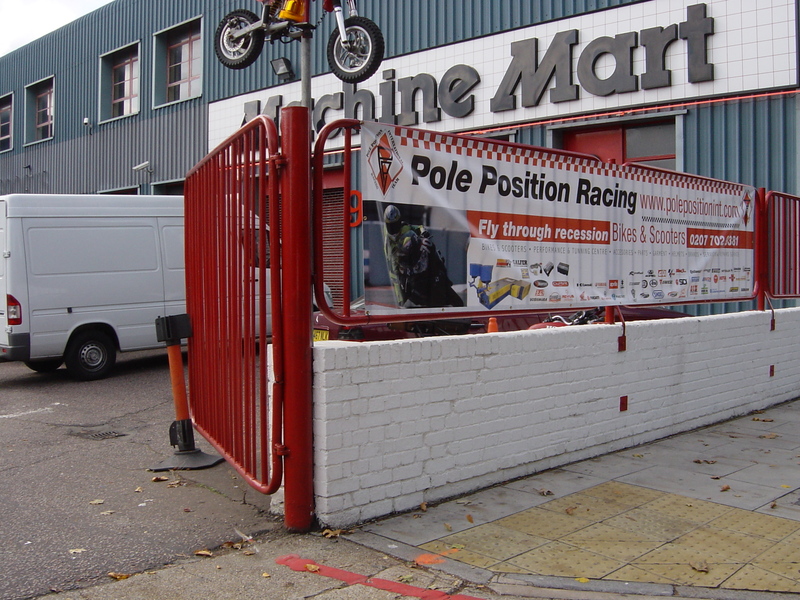 Pole Position retail section offers a wide range of motorcycle accessories from necessary products for everyday riding, such as indicators, tank pads, bar ends, levers, bungees, bulbs, mirrors or foot pegs, to motorcycle gadgets and tuning accessories. Our motorcycle clothing department presents textile and leather jackets & trousers, boots & gloves and waterproof overalls. Since we promote motocross safety gear, such as knee protectors, elbow guards, body armour and back protectors. we supply it for both adult and little riders, in all sizes needed. 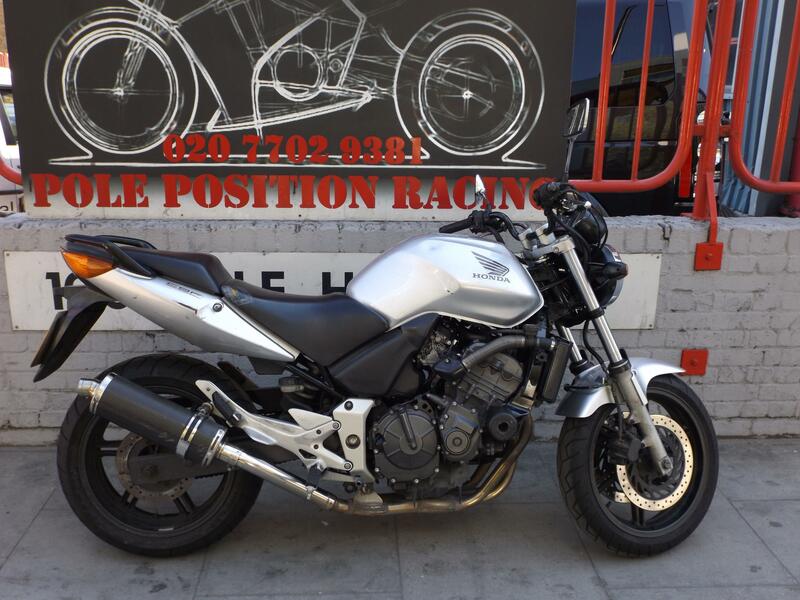 Our garage is fully equipped to service and repair not only motorcycles but also cars. We are able to provide minor and major car service and full car diagnostics. Whether your car needs a considerable amount of work or just an oil and filter change, you are welcome to come and ask for a quote. We are responsible and help you keep your car in safe to drive and tip-top conditions, which could also contribute to maintaining its higher resale value. In our garage you can expect great value for money. When something goes wrong with your car, it is hard to find an honest and reputable car repair garage. During all repairs, our clients are always advised on possible solutions of problems and given options to choose. Our highly skilled service team pays attention to details and takes care of your vehicle while working. We only do the jobs that need to be done, so you can trust us. All the UK cars which are three years old older require a valid MOT certificate by the law. An MOT is a standardised annual test, set by the Vehicle Inspectorate, to make sure your vehicle meets all legal requirements for safe road use. We will check and prepare your car for an MOT and get the certificate for you. 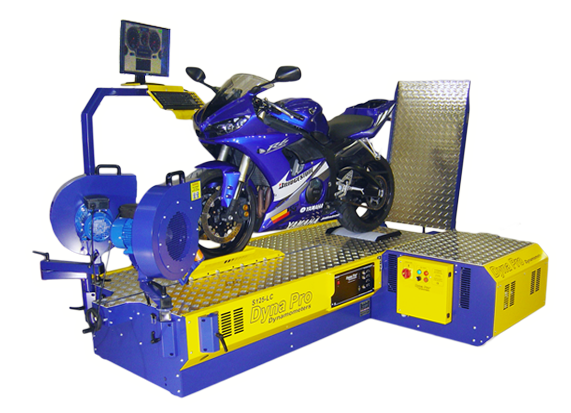 In our dyno testing centre we use S125LC Chassis Dynamometer from DynaPro, which has been designed and developed to enable the user to carry out a complete range of tests. Full „CLOSED LOOP” control enables a vast range of dyno tests to be carried with the minimum of effort. Wind drag, sweep and step testing or constant loading are just some of many features of the DynaPro S125 LC machine. The system WILL HOLD at specified RPM’s or MPH without overshooting or undershooting.